H.L. Mencken hated the South. My first meaningful encounters with Mencken’s work came while we were in Dayton. Mencken approached his coverage of the Scopes Trial — and Dayton and its people — with the same quick-witted ferocity he was famous for. Down there a poet is now almost as rare as an oboe player, a dry-point etcher of a metaphysician. It is, indeed, amazing to contemplate so vast a vacuity. . . . Nearly the whole of Europe could be lost in that stupendous region of fat farms, shoddy cities and paralyzed cerebrums. . . . And yet, for all its size and and all its wealth and all the ‘progress’ it babbles of, it is almost as sterile, artistically, intellectually, culturally, as the Sahara Desert. And with Mencken’s attacks came the rise of the Agrarians — that class of Southern writers who resisted Mencken’s arguments and defended the South, warts and all, as a distinct and true region. Wood points out that Flannery O’Connor took Mencken seriously at one particular point that the Agrarians may not have: Mencken’s recognition of fundamentalist Christianity as the lynchpin that held so much of the South together. Hence the double-edged nature of O’Connor’s fiction. Wood gets into all those issues and weaves together, really, a masterful account, nuanced as the issues are in reality. If you’re interested, I encourage you to pick his book up. But here’s the thing that nags me now: Mencken and others backed up their claims with sociological data that was hard to refute on its face. The Southern defenders’ best argument was that the “fixes” Northerners would have Southerners undertake burn away the South’s identity and render it like every other part of the country: indistinct. 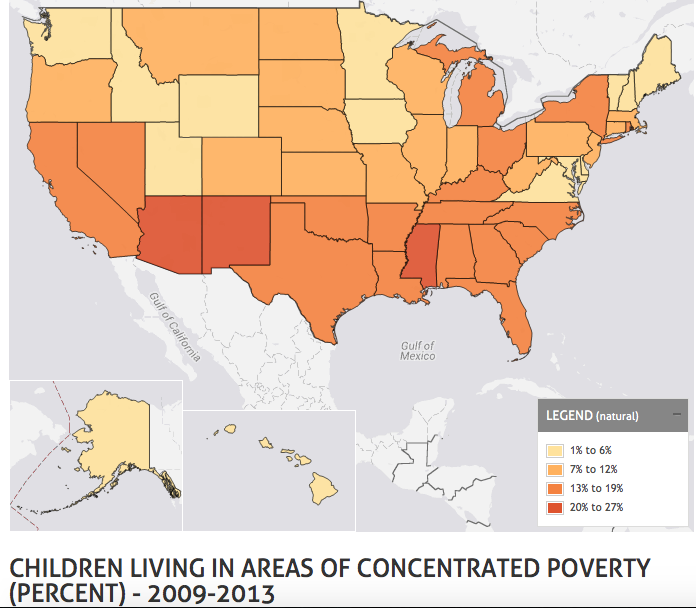 Faced with many of the same sociological problems today (see, for example, lots of the data at www.datacenter.kidscount.org), does the South still possess its distinctiveness? Do we Southerners know today what makes us Southern? The cynic here would offer a caricature of Kim Davis and say that the South is as backwards as it ever has been, and as backwards as Mencken described it, save for the addition of “gay-hating” and “gun-toting” to the long list of adjectives. With its humiliating defeat in defense of an indefensible cause, the South acquired an ineradicable sense of the tragic: the awareness that even the best of cultures can go profoundly wrong, that seeming good can be built on massive evil, that many things broken cannot be mended, and that much evil must patiently be endured. In O’Connor’s words, “We have had our fall.” Arguably until the Vietnam War or 9/11, no other pocket of the country knew of such. My question: outside of a deceptive sentimentalism, do we today in the South still have this identity? Perhaps this has always been true, but my sense of this is that very few have any clue of this identity, and few care to. In the rural areas, such as where I live, a remnant sense of identity — based as much in local communities as in the South itself — still clings to the hills and fields. My county, Greene County, was once one of the biggest producers of Burley tobacco in the South. Until his dying days right after I joined the staff, my newspaper’s much-loved columnist, Bob Hurley, still wrote of the smells that filled downtown Greeneville in December, when tobacco was put to market in the huge warehouses that peppered town. But it wasn’t just the tobacco and its smell: it was the community’s recognition that it was very much a lifeblood of the local economy, and the work it took to harvest it kept families working together in the fields. East Tennessee, thanks to its mountainous terrain and lack of plantations, was home to Union sympathizers. Our side of the state voted against secession. Greeneville was the home of Andrew Johnson, perhaps the most misunderstood and most scorned scorned son of the South. A few weeks ago I helped interview two locals who attended Greeneville’s black high school before school integration in 1965. Here in Greeneville, there were virtually no issues when blacks began sitting in classrooms with whites. No protests, no fights, no scenes of police officers wielding fire hoses, or anything of the sort. When I asked these two people why that was — what made Greene County so different — they answered almost immediately that everyone was so poor — especially out in the county — and used to working, living, and playing with each other, no one harbored any ill will. Memories like this are becoming scant, I fear. But these memories exist here (and I’m proud that stories like this are how I can help keep these memories alive). Growing up in suburbia outside Chattanooga, I never heard much of who we Southerners were, outside of my father’s love of history. As Chattanooga has grown and finds itself as an up-and-coming locale for hipsters, Millennials, and anyone wanting a taste of the New South, I wonder if the values the Agrarians offered as rebuttals to Mencken resonate with folks there. Do we still possess the virtues of the Old South? The Southern writers of the early and mid-20th century had sturdy ground on which to stand when defending Southern virtues. Elsewhere in his book, Wood points out that O’Connor, in her devout Catholicism, saw the importance of the sacraments in her theology. And her fiction. Those sacraments illustrate the length to which God sought His people — using the crude stuff He Himself fashioned in brining forgiveness and redemption, and they stand in stark opposition to the sort of gnosticism that hyper-spiritualized, fundamentalist Protestantism brought. The idea that one could be “so heavenly minded that he is no earthly good” is in part an indictment of the kind of fundamentalism that shuns enjoyment of the physical — intended for enjoyment, when regarded and used correctly —and supplants it with a pharisaical bent toward the judgmental. I wonder if this fundamentalist gnosticism leads to the directionless poverty typified by the family Dylan Roof stayed with before killing nine black people in a church in Charleston. This fundamentalism no doubt has some Southern roots, but its effect is to divorce us from the tradition of hard work and genuine care for the well-being of others. And it grows like kudzu, creating a Southern void. I’m aware some people reading this may not buy anything I have said that puts the South or Southerners in any kind of redeemable light. But I wholeheartedly believe that is a product of cynicism, formed by an almost nihilistic incivility. And I hope if any discussion starts here, we will steer clear of it. Wonderful essay, Michael. I’m glad you agonize over these things; for some of us, they are important. The South is Flannery O’Connor’s Catholicism and Tennessee Williams’s whiskey-soaked Big Daddy (not to omit Brick, his closeted gay son). As the old folks depart this life, things do change. And, I must even admit that some of our elders have amended their ways without the Grim Reaper at their door. With their passing, holdovers of prejudice and bigotry leave, but so does some of the grace and gentility — as if to affirm that this region has always been a schizophrenic’s paradise. “Too heavenly minded to be any earthly good” only scratches the surface of our profound and cherished contradictions. To whit, that “gay-hating” thing is really too bad, but quite logical, as I have long speculated that the majority of gay men in the south are married to women. Mencken may have “hated the south,” but I think he must also have been grateful for its alien ways which presented him (on a rusty Ford hubcap) the imperative to exercise his formidable acerbity. I will definitely read Ralph Woods’s book. Is Your Opinion Worth Our Time?